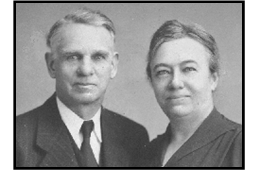 The Elma Barnett Children’s Center is named for Elma Barnett, a pioneer missionary that came to Kenya in 1907. 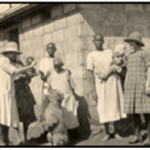 She and her husband Albert worked in the Baringo District now known as Koibatek. 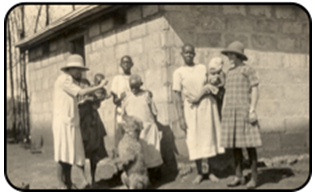 They started a home for girls and boys at Kiplombe sometime before 1917. This was the first children’s home in the area. 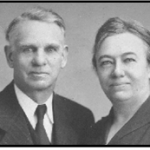 In December of 1917 their home burned down at Kiplombe. They were able to purchase some land with a small tin building on it in Eldama Ravine and moved there the 11th of November, 1918. Beside their family of five children they brought with them 2 women and 11 little boys and girls. The girls lived in one large hut and the boys in another next to their house. By March of the next year the girl’s home, built of stone, was finished and a small house for the boys. This home continued helping children until 1933 or 34. By this time a good boarding school had been established for the children to attend.